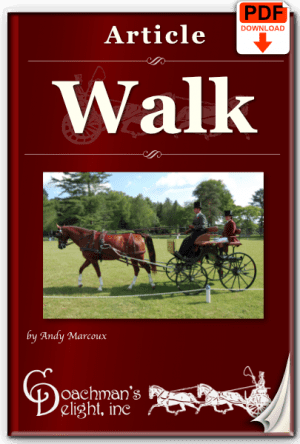 As a driver, your reins communicate the vast majority of your intentions to your horse. 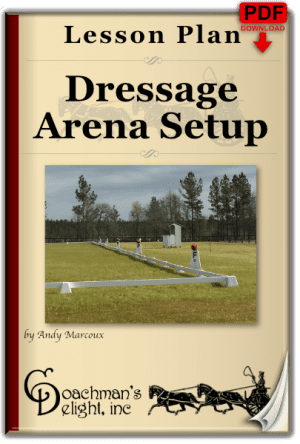 However, most drivers make this one critical error in their driving that makes it much more difficult for the horse to hear those communications. 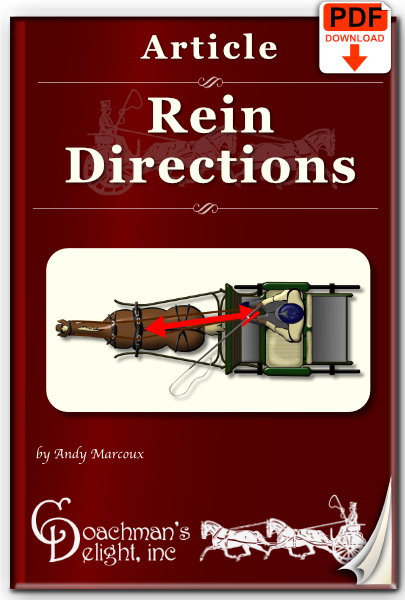 Your reins are your main communication device when you are driving your horse, but how you are using them may be muting those communications. 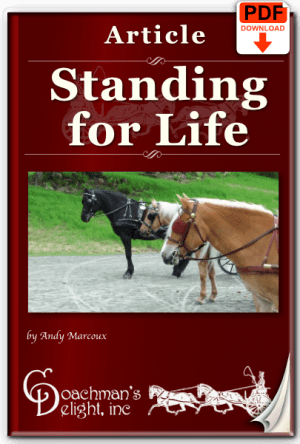 One of the most important things you can do is be sure you’re using the reins in a way that your horse can hear your communications. 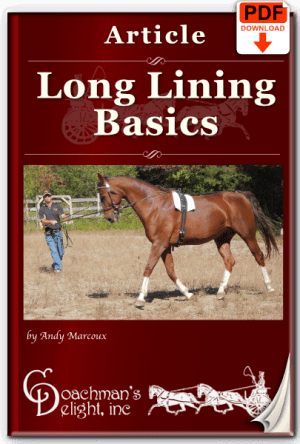 This 6 page illustrated article guides you through using your reins in the most effective way to communicate with your horse. This one simple concept can make a big difference in what your understands about how you want him to go!